We bought four of these beauties for spring 2007 as an experiment. When they came off the delivery truck, they were spectacular! Everyone ooo’d and ah’ed over them. 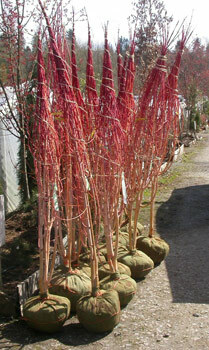 And we weren’t alone – these trees made a huge hit at the 2007 Garden Show. 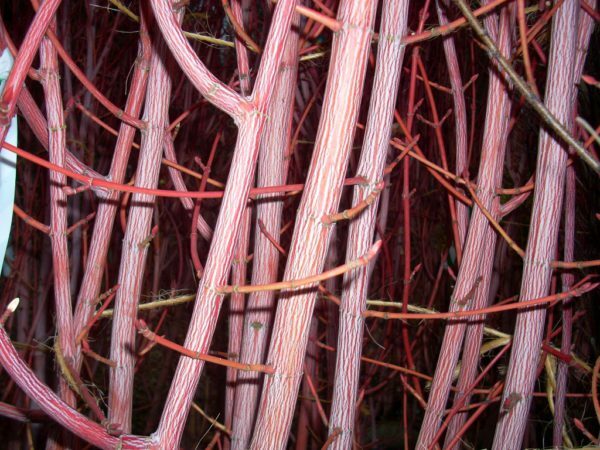 All of these unique trees are descended from a single unusual tree that was found in Holland in 1982 among a group of Acer conspicuum ‘ Silver Veins’. Those four trees we bought never made it out of our delivery area. The first folks who saw them there, still twined up on the gravel, bought them on the spot. 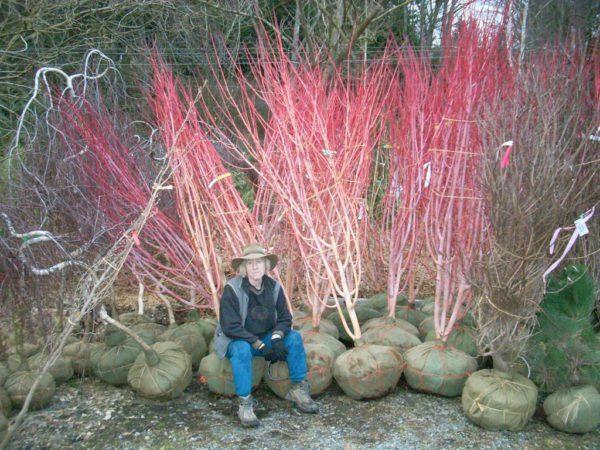 They really are quite beautiful and unusual – and that’s saying a lot when your nursery specializes in Japanese Maples and has tons of really beautiful specimens around. So, after the first four vanished so quickly, we ordered 12 more for 2007 – and after they arrived, they lasted less than two weeks before they were all gone! More have been sold every year and this year’s trees are significantly larger than last year’s. See the new photos, below. Be aware that while these trees are beautiful, rare, they are also pricey. Each of them sells for $495. We wanted to say that up-front so people won’t drive out and leave with ‘sticker shock’. These trees are about 8′ tall now and their root-balls are heavy so it will take two people to lift them.